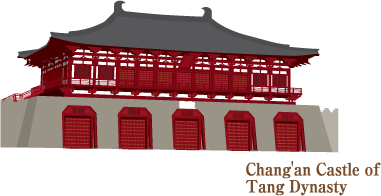 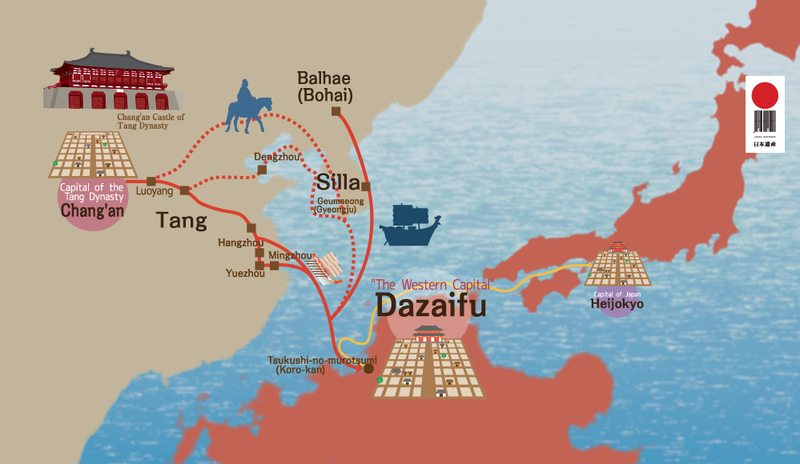 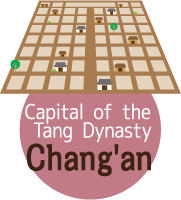 The country which prospered most in Asia was China during the Tang Dynasty. 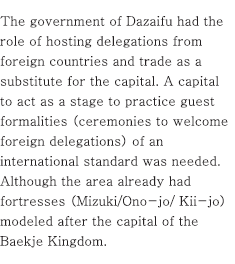 Japan sent “envoys to the Tang Dynasty” many times and obtained a lot of cultural assets and advanced information to use in its development of the country. 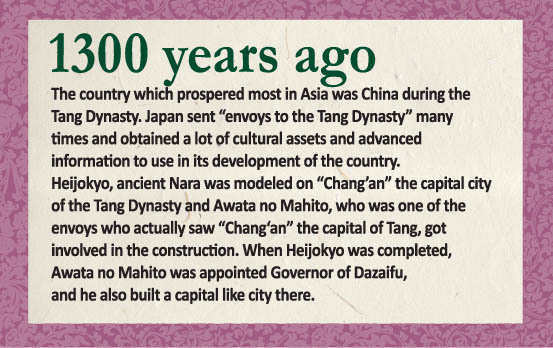 Heijokyo, ancient Nara was modeled on “Chang’an” the capital city of the Tang Dynasty and Awata no Mahito, who was one of the envoys who actually saw “Chang‘an” the capital of Tang, got involved in the construction. 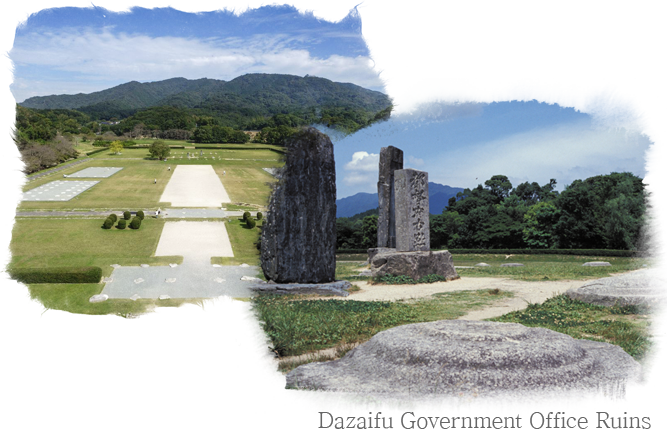 When Heijokyo was completed, Awata no Mahito was appointed Sochi(Governor of Dazaifu), and he also built a capital like city there. 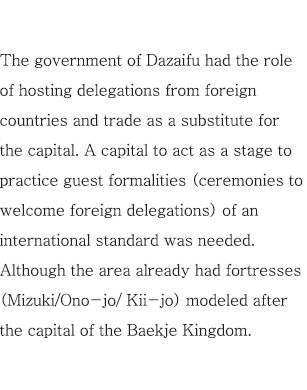 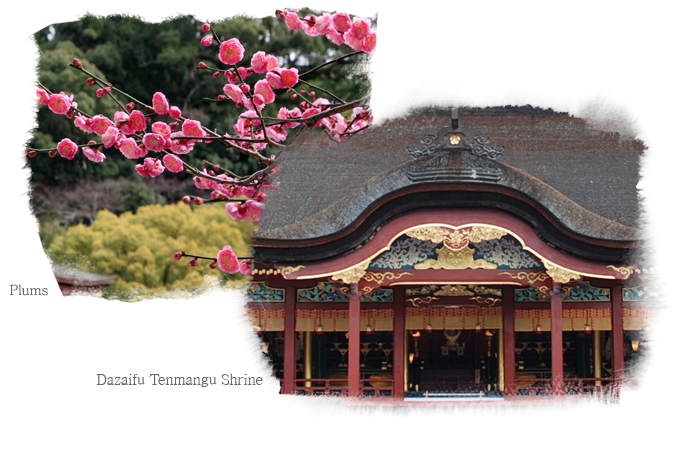 The government of Dazaifu had the role of hosting delegations from foreign countries and trade as a substitute for the capital. 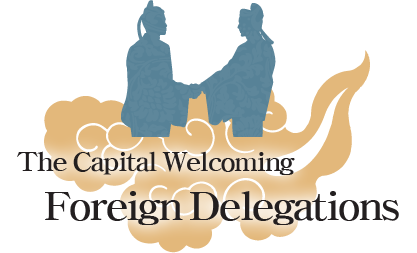 A capital to act as a stage to practice guest formalities (ceremonies to welcome foreign delegations) of an international standard was needed. 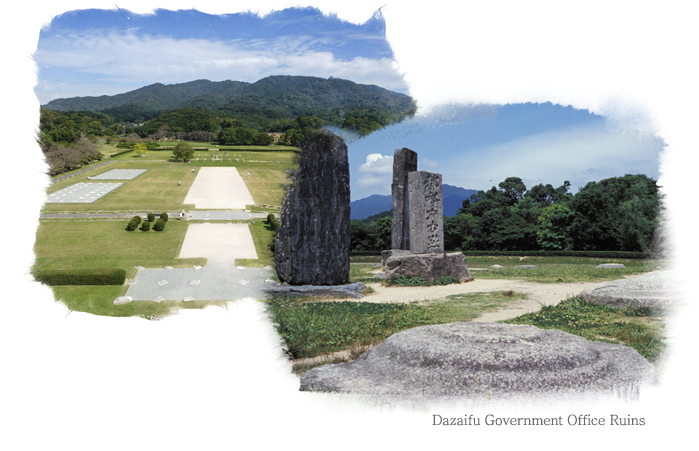 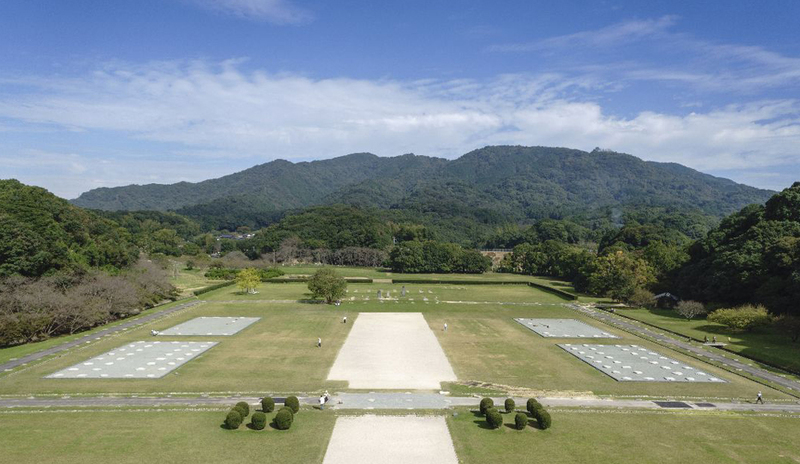 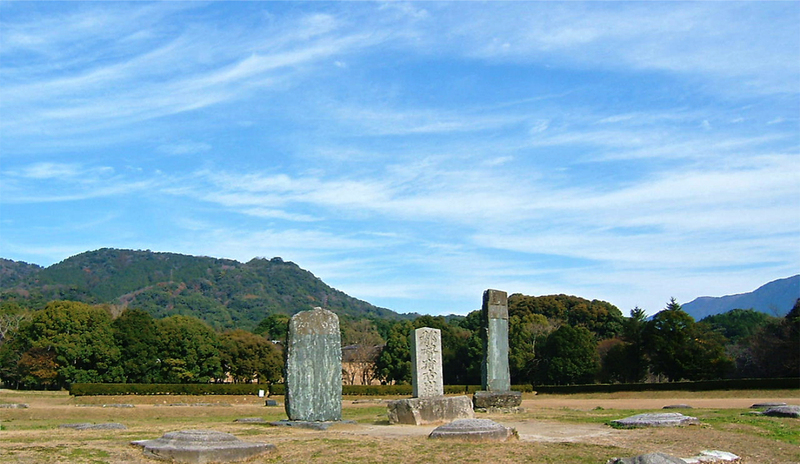 Although the area already had fortresses (Mizuki/Ono-jo/ Kii-jo) modeled after the capital of the Baekje Kingdom. 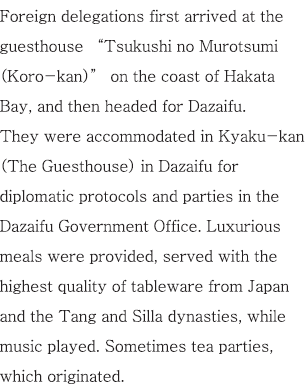 Foreign delegations first arrived at the guesthouse “Tsukushi no Murotsumi (Koro-kan)” on the coast of Hakata Bay, and then headed for Dazaifu. 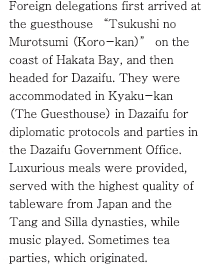 They were accommodated in Kyaku-kan (The Guesthouse) in Dazaifu for diplomatic protocols and parties in the Dazaifu Government Office. 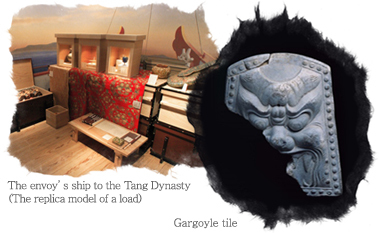 Luxurious meals were provided, served with the highest quality of tableware from Japan and the Tang and Silla dynasties, while music played. 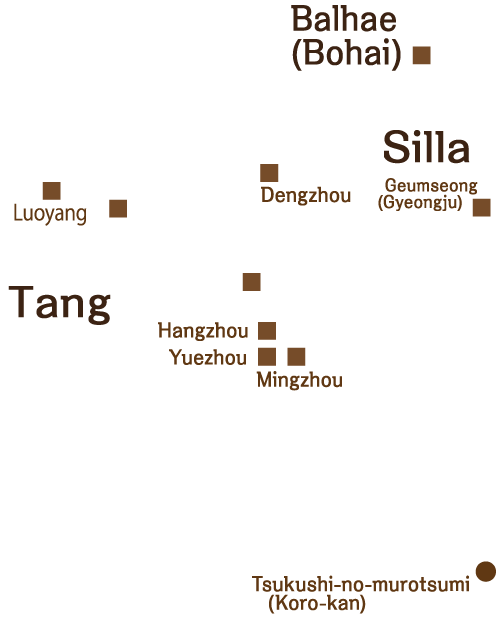 Sometimes tea parties, which originated. 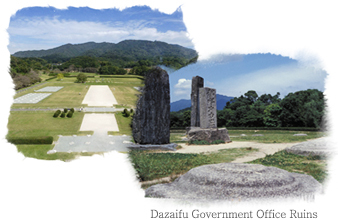 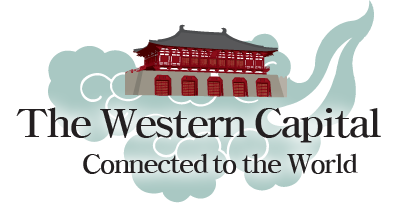 People with cultural skills and knowledge were required to properly treat important foreign visitors in the Western Capital, Dazaifu. 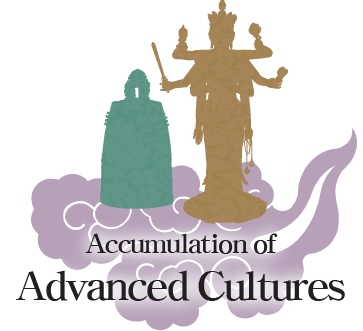 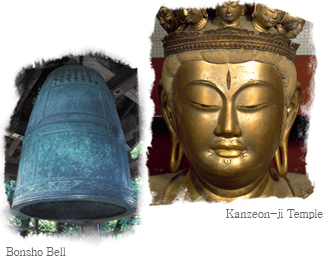 New cultures grew through the cultural exchange of such people. 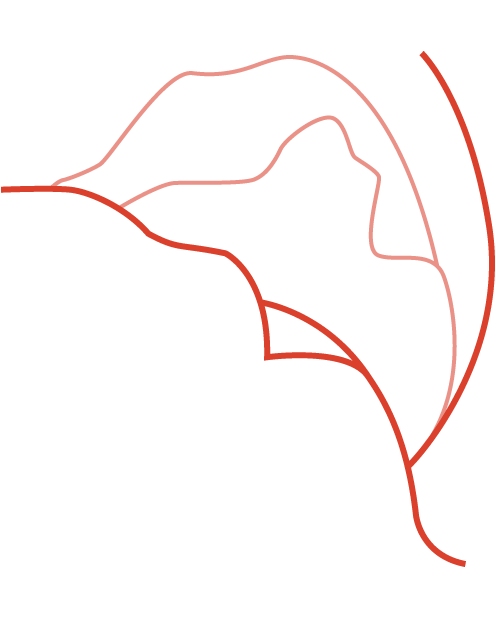 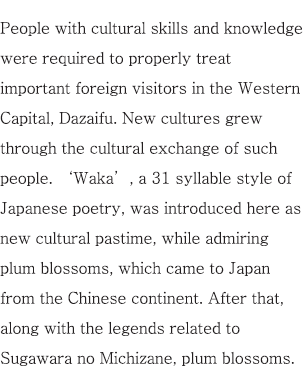 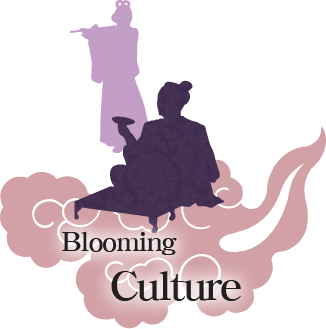 ‘Waka’, a 31 syllable style of Japanese poetry, was introduced here as new cultural pastime, while admiring plum blossoms, which came to Japan from the Chinese continent. 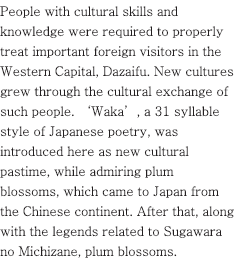 After that, along with the legends related to Sugawara no Michizane, plum blossoms. 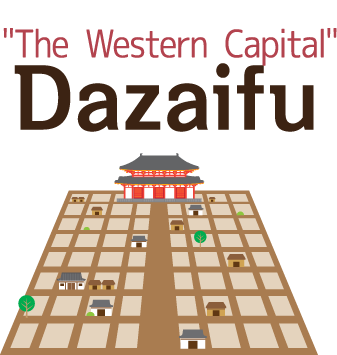 Dazaifu was an international city, where people from other areas in Japan and abroad came, and it was filled with many products. 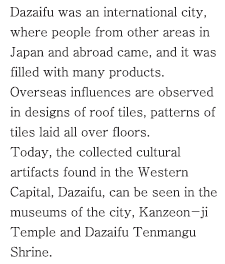 Overseas influences are observed in designs of roof tiles, patterns of tiles laid all over floors. 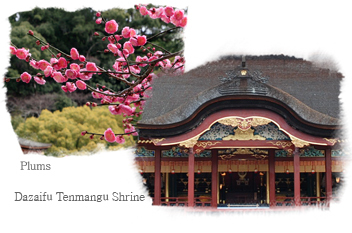 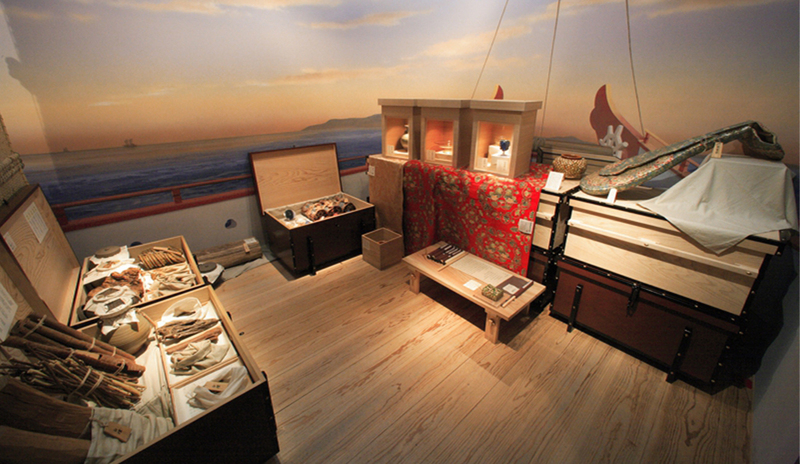 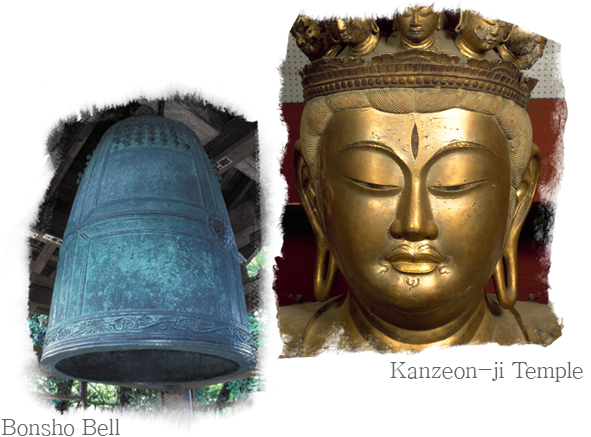 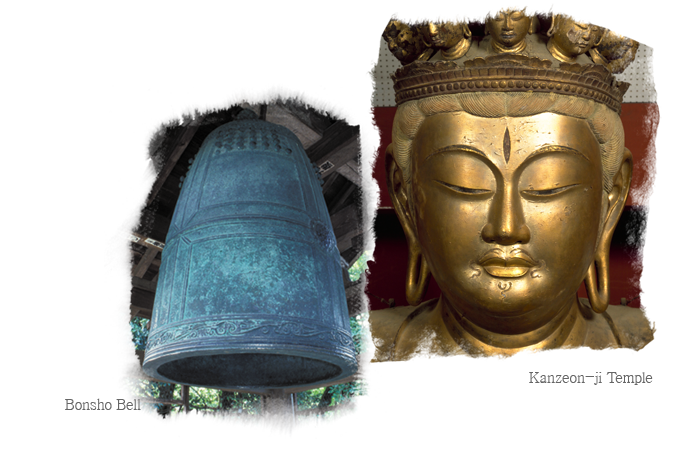 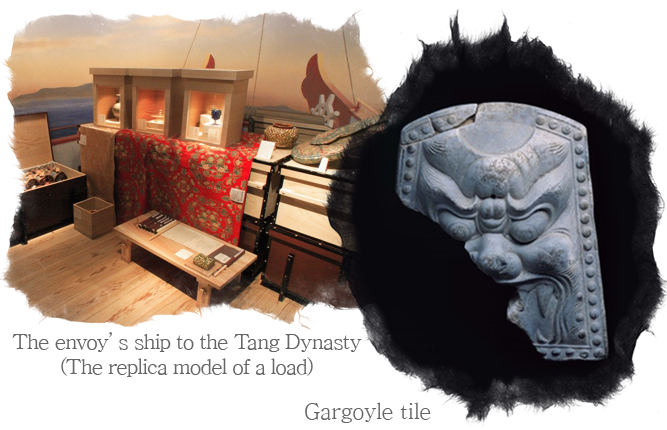 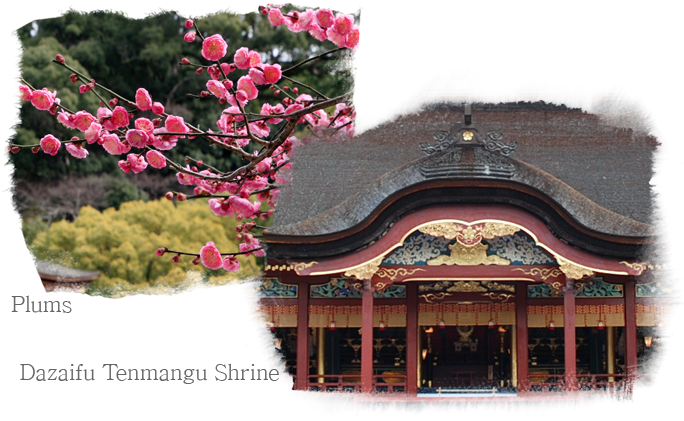 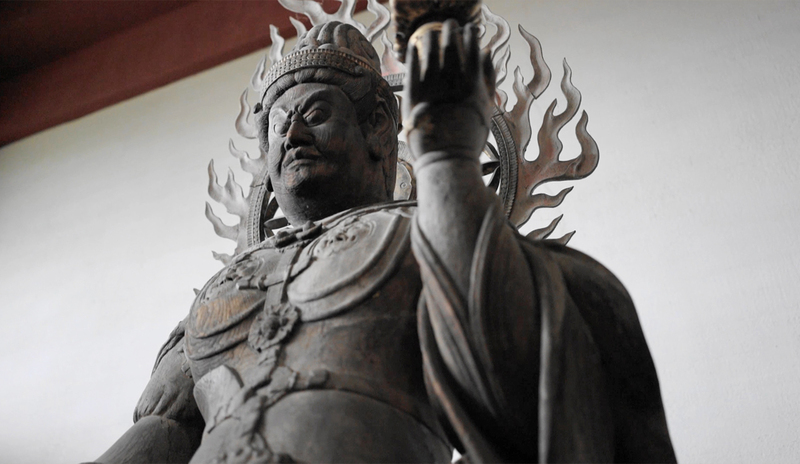 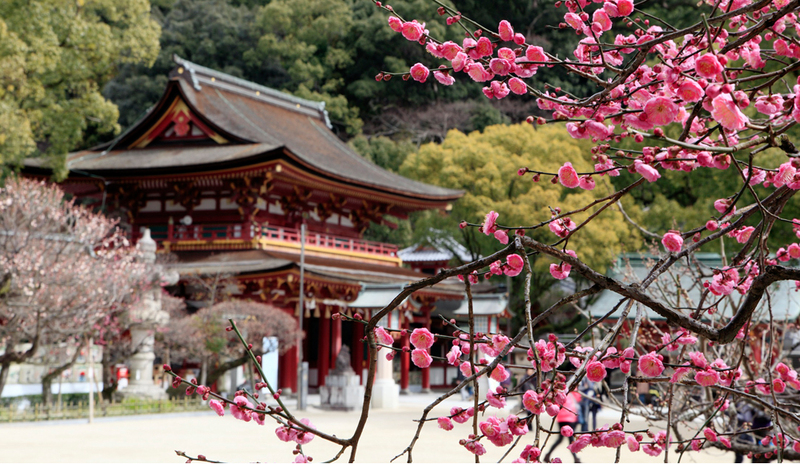 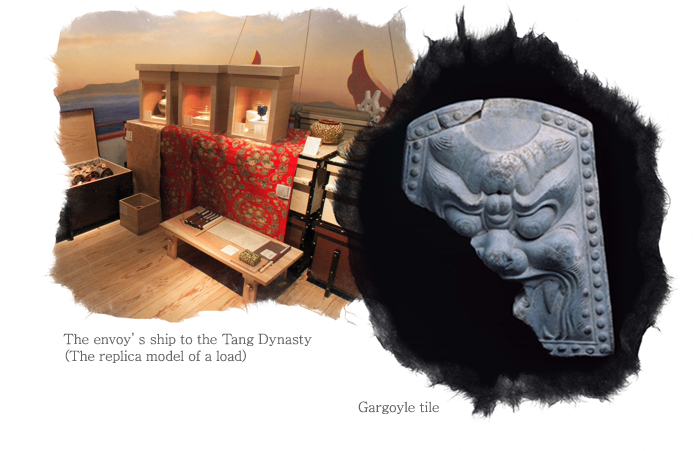 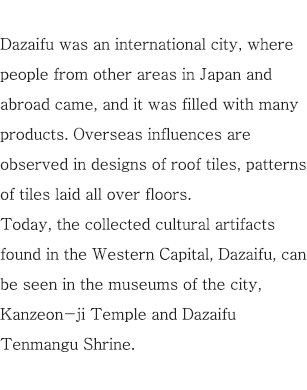 Today, the collected cultural artifacts found in the Western Capital, Dazaifu, can be seen in the museums of the city, Kanzeon-ji Temple and Dazaifu Tenmangu Shrine.